The inability to preserve the lead is killing Sunderland's attempts to remain in the Premier League and it may prove to be a fatal shortcoming. Three games on the spin, Sunderland have been ahead and cruising. Three games on the spin, they've surrendered that advantage and blown the opportunity for some real traction in the relegation battle. At the start of the day, a point appeared like it would be a better result for Sunderland than Newcastle, with Sam Allardyce's men marginally ahead in the relegation battle and the Magpies in desperate need of an immediate 'new manager bounce' under Rafa Benitez. But when the final whistle sounded on a poor quality Tyne-Wear derby, Sunderland were again kicking themselves. Norwich supporters must have been reaching for the recipe for one of Delia's cakes in celebration. It's the same pattern again and again for Allardyce's side. 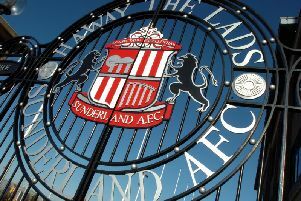 For an hour, Sunderland were in the ascendancy against a nerve-riddled Newcastle side, who frankly looked awful and could barely retain any sniff of possession. With the extra man in the middle of the park, Jan Kirchhoff and Yann M'Vila completely controlled things. But when Kirchhoff begins to tire, Sunderland invariably fade and it was again the case, as Newcastle scrapped their way back into the encounter. Sunderland gradually sank deeper and deeper and the Magpies began to generate some momentum. Even then, it still took some awful defending from makeshift left-winger Dame N'Doye to hand Newcastle an equaliser after he allowed Georginho Wijnaldum to ghost past him far too easily and lift a cross to the back stick for Aleksandar Mitrovic to head home. DeAndre Yedlin's foul throw in the build-up didn't help matters either. That goal - which continued Sunderland's five-month wait for a clean sheet - transformed the decibel levels inside St James's Park and by the end Sunderland were hanging on a touch for the point. Yet the mood among Sunderland's players afterwards was again one of dejection at 'what might have been'. A point doesn't particularly help either side, who will spend the two-week international break confined to the relegation zone. The chances of a Tyne-Wear derby in the Championship next season have just risen significantly.